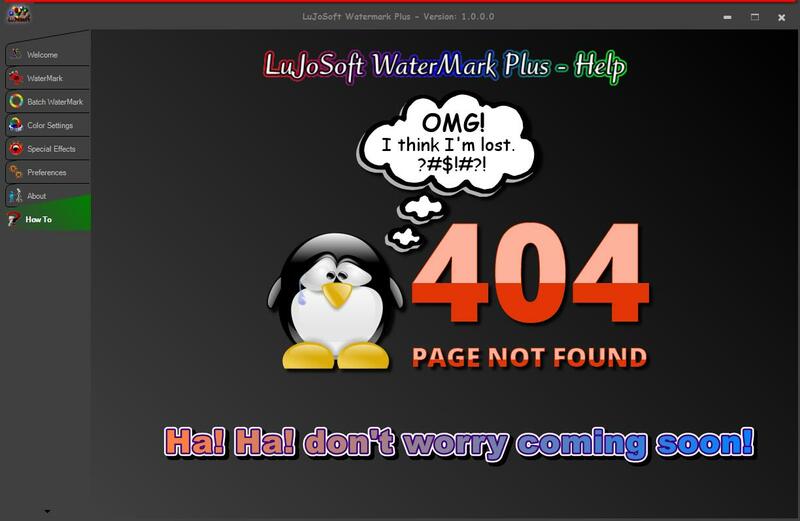 Powerful and simple watermarking utility that may be used to add watermarks to any supported image file format. The resulting application shall permit the user to open any supported image file format into a scrollable panel, to define the text to be applied as a watermark “with a default template supplied”, to set the font and color of the watermark, to define the opacity of the watermark, to determine where the watermark appears on the image, and to preview the watermark prior to saving it to the image. 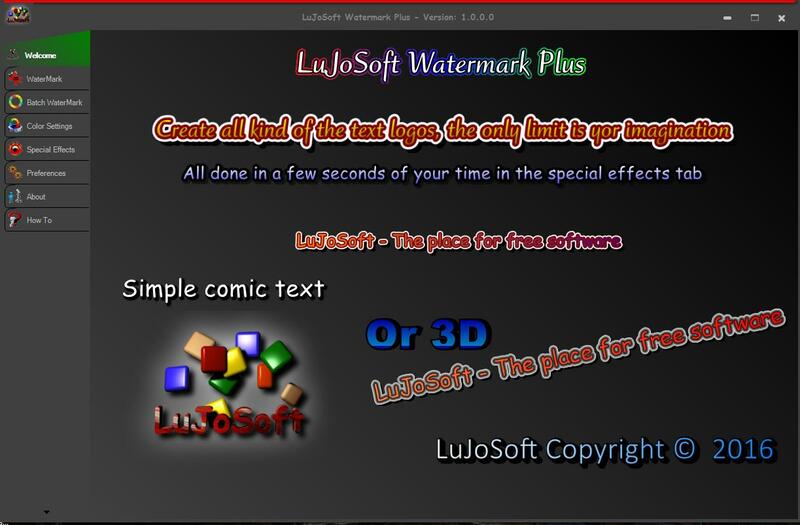 You can now create your own text logo with many effects, then you can save them to disk and import them for future use. 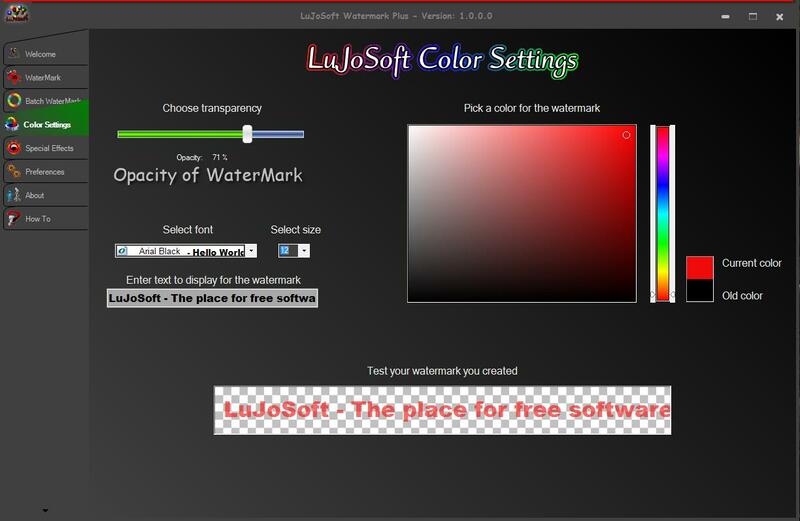 You can now import any logo image that you have and apply them as a watermark with the desire transparency. You can now apply the watermark to a single image or all the image you want in a single click. 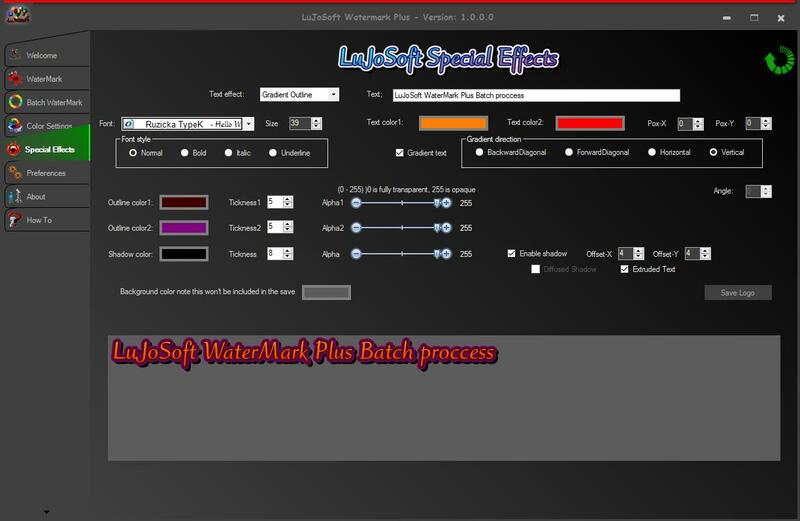 You will be able to create all kind of watermark and the only limit will be your imagination! Change the file format to any supported by the application. Note that is only for the text watermark, all other instruction will be on the how to tab. Open any photo you wish to put a watermark. Enter the desired watermark phrase you want to appear on the photo. Select the font and color. Select the opacity you want. Chose a directory to save to. Use or not a prefix to add to the file name. Click on the photo where you want your watermark to appear. .Net framework 4.5. The installer will install it if needed. Download and double click the setup.